It’s been a crazy last week of school before vacation so I was glad to have this soup on hand for a quick meal. 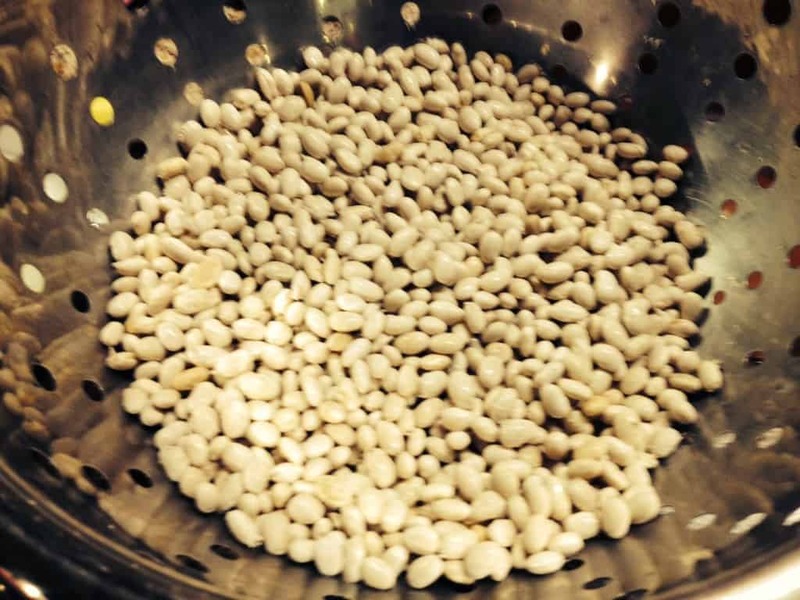 I have been looking for a slow cooker white bean soup recipe and finally found this one on Budget Bytes. I made some changes, like adding ham and broth, but it’s a keeper for sure. First, rinse the dry navy beans in a colander and set aside. 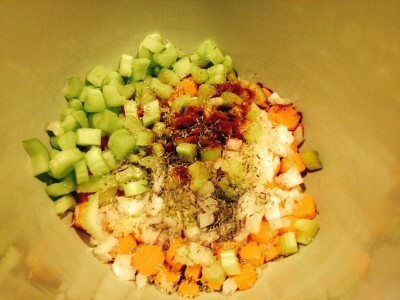 Chop the carrots, celery and onions. Add this to the slow cooker along with the garlic, spices and oil. About half way through add 2 cups chopped lean ham (this is optional — or you can add at the beginning too). Add more water if you need to. When it’s done add the salt. While some people say adding salt too early results in beans that don’t cook fast enough, I do it at the end because you get more flavor with less. Rinse beans and set aside. 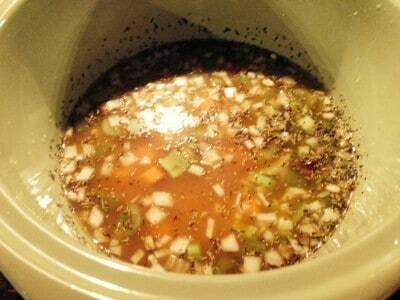 Chop veggies and add to a 6 quart slow cooker. Add spices (except salt), oil and liquid to veggies and cover and cook on low for about 8 hours or until beans are soft but not mushy. 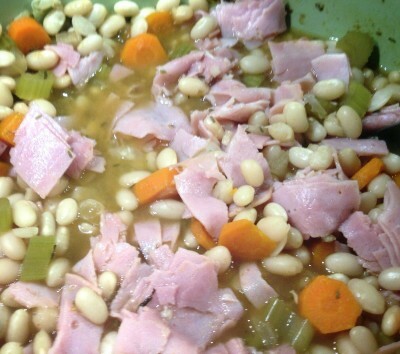 Halfway through cooking, add the chopped ham. When soup is done add the salt and serve.